Columbia International College proudly offers international students and parents an easy way to pay tuition and other expenses with the CIBC International Student Pay and Western Union® GlobalPay. You can now make arrangements to pay your student fees in your preferred currency from anywhere in the world at any time. Avoid fees and international foreign exchange charges from your bank. Make payment in the currency of your choice. The exchange rate quote is locked in for 72 hours after the quote is obtained. Canadian Imperial Bank of Commerce (CIBC) is a leading Canadian-based financial institution founded in 1961 headquartered in Toronto, Ontario, Canada. CIBC provides a full range of financial products and services to nearly 11 million clients in Canada and around the world. CIBC has been the market leader in processing and reconciling international payments for over 6 years. For more information, please refer to CIBC’s website. Log In – Access the CIBC International Student Pay secure web portal and enter your student details. Provide Payment Details – Once you enter the CIBC International Student Pay platform, simply enter the amount in Canadian dollars, then select your country and payment currency. You will be shown the amount required in your preferred currency to pay your student fees in Canadian dollars based on the competitive FX rate CIBC is providing Columbia International College. Enter Payer Details – Enter a few payer details – whether it is you, your parents or an agent acting on your behalf. Initiate Transfer – Carefully review the Terms & Conditions provided by CIBC, and when ready, click “Accept” and “Submit”. L8S 4P3Be sure to use the Student ID # and Name on the Cheque or Money Order. International wire transfer information is available upon request. Please email: invoice.inquiry@cic-totalcare.com for more detail. 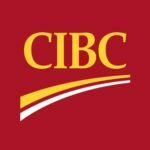 Online international payments by CIBC International Student Pay and Western Union Global Pay guarantee the quoted exchange rate for 72 hours for payments made by bank transfer. Wire transfers, Money Orders, Cheques or Cash received by Columbia International College in US Dollars is converted into Canadian Dollars at the exchange rate determined by the Bank of Canada Cash Rate on the day the money is received.